Topics: Claims, and Tools, Claims, and Tools. 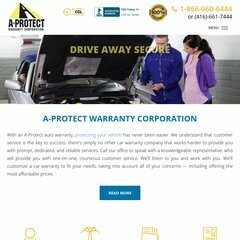 a-protectwarranty.com Powertrain Gold Plus - Welcome to the A-Protect Auto Warranty ..
33 users visit the site each day, each viewing 2.20 pages. It is hosted by Theplanet.com Internet Services Inc (Texas, Houston,) using Apache/2 web server. Its 2 nameservers are ns78.domaincontrol.com, and ns77.domaincontrol.com. PHP/5.2.10 is its coding language environment. PING (174.132.161.221) 56(84) bytes of data. A ping speed test response, is timed at 34.6 ms.